EOS HOME AUTOMATION provides a simple easy to use platform so that you can built a complete home automation solution that has no limits. We can integrate and make anything in your home part of the system and control it individually or part of a scene or action. See below a quick overview of how it all works together. All of this is done with no expensive electrical rewiring necessary. Simply choose the package that is right for you and we will take care of the rest. Every package includes initial installation and training. Want to start small? 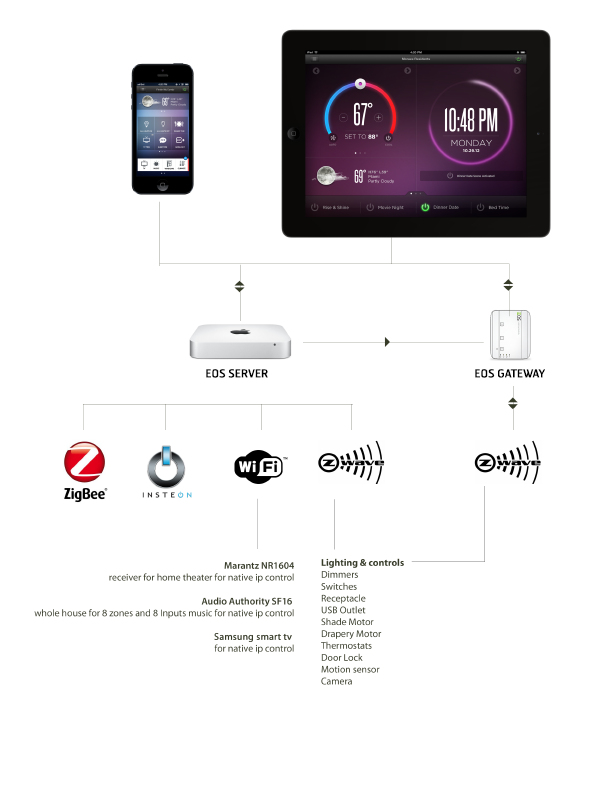 No problem, each EOS home automation system is fully expandable and priced to fit any budget!